Premier Inn has opened its first property in the German financial hub of Frankfurt. 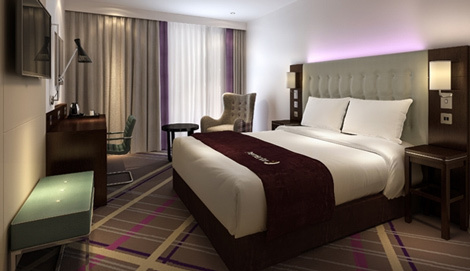 The 210-room Premier Inn Frankfurt Messe is located on Europa Allee close to the Messe Frankfurt exibition complex. Facilities include king-size Hypnos beds, blackout curtains and soundproofed walls, free wifi, a restaurant and a Costa Coffee outlet. Premier Inn has plans to expand in Germany, with a second new-build property set to open in Munich in 2018, and a target of “eight to ten hotels in prime locations in the biggest cities in Germany in the next few years”. 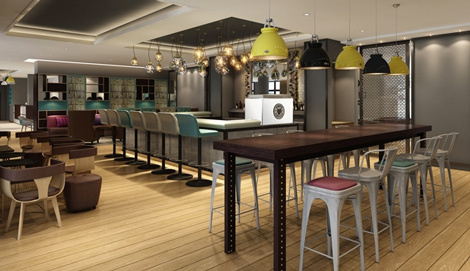 This week the group opened two new hotels under its technology-focused Hub by Premier Inn brand in London and Edinburgh (see news February 29).